Practice mindfulness and meditation with Patty Giffin, Ph. D.
The continuum of meditation takes us all the way from the very physical practice of progressive relaxation of the body through to practices which take us to the heightened consciousness of unity and selflessness. Given the theme of knowing less, this presentation will offer a few facts and many experiences about a wide variety of meditation practices. We will spend our 90 minutes together exploring the practical and spiritual aspects of different meditation styles. Patty has been a licensed psychologist in Bend for about 23 years. She has spent over 40 years serving in the mental health field. She has worked as a trainer, facilitator and consultant in EMDR (eye movement desensitization and reprocessing), travelling around the country teaching therapists the use of this powerful model for treatment of post traumatic stress and for life change. She volunteered in hospice settings since the 1980's. Patty is a lifelong meditation practitioner. Starting with staring at candles in her teens, she began to formally sit on a cushion at a Zen Center near San Francisco in the 1970's. She has meditated with Burmese, Thai, Tibetan and American teachers. Hospice work with the bereaved and dying taught her the importance of presence and stillness. The Yoga Sutras she studied in becoming certified as a yoga instructor are also part of her understanding of the importance of meditation. 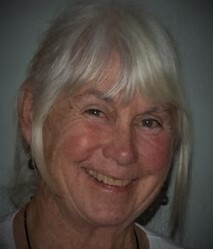 Patty teaches insight meditation every Monday night here in Bend at the Environmental Center. She spends as much time as she can outdoors in her garden, skiing or hiking in the mountains, and kayaking on rivers or on the ocean. Nature and wilderness have also provided profound insights into meditative truths. She volunteers with Oregon Natural Desert Association. Her avocation is the study of Spanish and visiting Hispanic countries.